Stuffed with three, yes three, 8 Megapixel cameras, Huawei today unveiled its latest smartphone under the new Honor branding. Following on from the reasonably priced Honor 6, meet the new imaginatively named Honor 6 Plus. The new device’s unique selling point is it’s three 8 megapixel cameras. There’s two in the rear similar to HTC M8, and one front facer. The two rear shooters claim to boost the effective pixel size to 1.98 microns for improved sensitivity and thus cleaner images. Huawei’s new dual-lens setup lets you refocus the captured photos, adjust their aperture (you can go from f/0.95 all the way to f/16) and apply fun filters like tilt shift, sketch and comics etc. 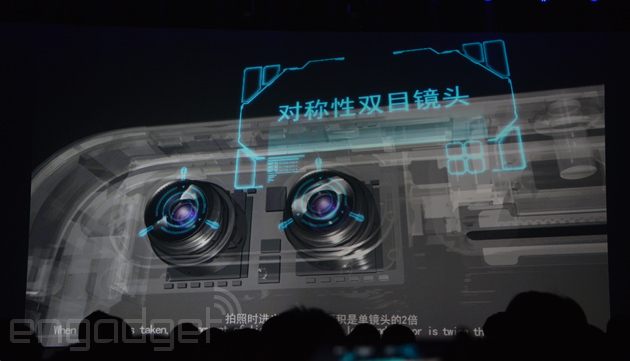 The dual camera setup is alleged to give outstanding night time shots too. Huawei’s own Kirin 925 octa-core chipset. A low-power I3 coprocessor (for fitness tracking). Upto 32GB of internal storage. A whopping 3,600mAH battery ( should give good battery life with only a 1080p screen to power). Dual-SIM slots — one of which doubles as a microSD tray, supporting up to 128GB of expansion. The Honor 6 Plus runs a heavily-customized EMUI 3.0 Android ROM which has some cool features, especially when the screen is off. For example, you can double-click the volume-down button to instantly take a photo; double-click volume-up to start recording a voice memory, and draw custom gestures to trigger your desired apps. As part of the package, Huawei is offering 100GB of lifetime cloud storage and free access to over 8 million WiFi hotspots globally (7 million of which are in China). 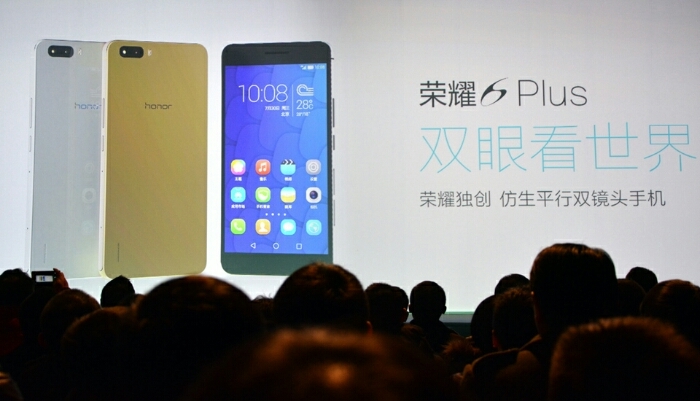 The Honor 6 Plus will comes in two editions: the 16GB, 3G-only, NFC-less version will cost just CN¥1,999 or about £205 in either black or white. The 4G premium edition, meanwhile, is priced at CN¥2,499 or about £255, and you get an additional gold color option.